Sad news went up the trails on Sunday to do some work for the council and discovered that one of the biggest beach trees has dropped a branch. Half the tree is gone! It was a huge branch 4ft thick easy and it took a whole oak tree with it! Now I know your thinking did it flatten half the trails...well no..haha but it made a right mess of the run in. I suppose it could end up being a good thing, if the trails pull through we'll have a life time supply of logs! Apart from that the trails are looking perfect under the tarps. 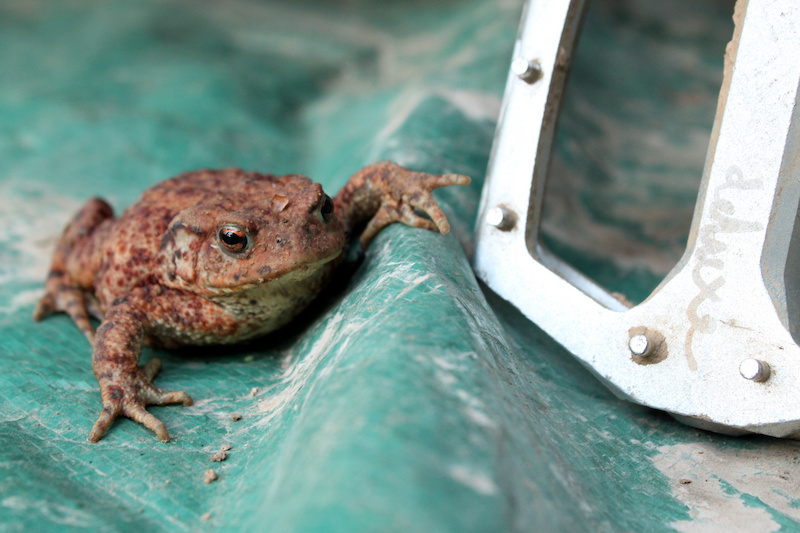 Help us save the trails, otherwise alot of toads are going to lose their homes, these guys love tarps!